Eugene Delacroix (1798 to 1863) is a artist of Romantic paintings. 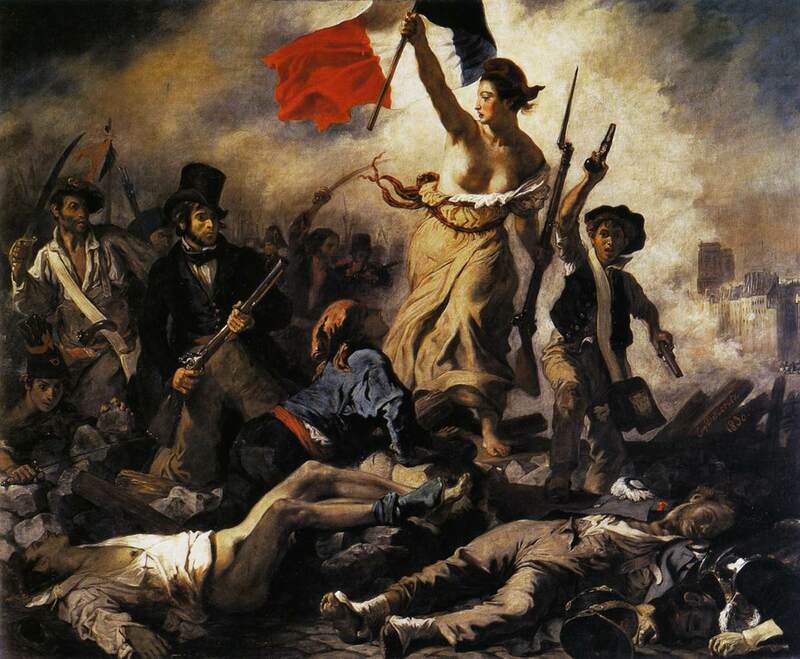 The renowned painting “Liberty Leading the People” (1830). For some anthropological comment about this work, see Freedom Goddesses.